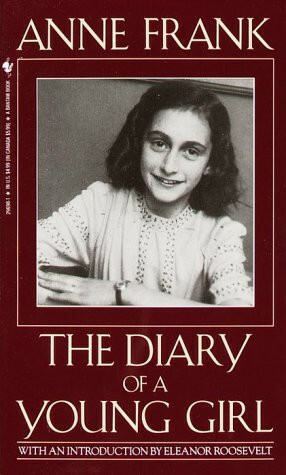 This book was really a challenge for me , 'cause this is the diary of a Jews young girl .. and I had never read sth about it . In 1942 , with Nazis occupying Holland , a thirteen - year - old Jewish girl and her family were forced to move their home in Amsterdam and went into hiding . For the next two years , they lived in the secret place hiding in an old office building to escape arrest ..Cut off from the outside world , facing hunger , boredom , the constant cruelties of living in confined quarters , and the ever-present threat of discovery and death . 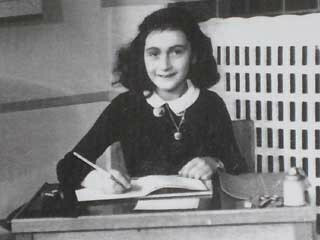 Anne at the Montessori School she attended in Amsterdam ( now the Anne Frank School ) until 1940 , when Jewish children were orderd to attend separate schools ..